Dr. Ellen FrankIn 2004 Dr. Frank founded the Ellen Frank Illumination Arts Foundation, Inc. (EFIAF), a non-profit global organization dedicated to the transformative power of art to build a culture of understanding and peace. Dr. Frank conceived of its flagship initiative CITIES OF PEACE, including its peacebuilding, educational, mentorship and arts training programs. As Artistic Director, with participation by artist interns and scholars from more than 25 countries, Dr. Frank has directed the creation of eleven CITIES OF PEACE paintings, the CITIES OF PEACE TREASURE SUITE and additional EFIAF projects and initiatives. Highlights include invitations to exhibit and to create new CITIES OF PEACE paintings for the 70th Commemoration of the Liberation of Auschwitz in Auschwitz, the 100th Commemoration of the Armenian Genocide in Yerevan, and the 10th Anniversary of Kosovo Independence in Pristina. Dr. Frank has presented CITIES OF PEACE in conferences worldwide. CITIES OF PEACE has been exhibited in 15 venues, accompanied by panels on art as a tool for peacebuilding. Artist, scholar, writer and teacher, Dr. Frank has received awards in painting, book design, scholarship and, most recently, as an innovative global peacebuilder. These awards include Fulbright Specialist for Peacebuilding and Reconciliation (2018), US Department of State’s Bureau of Educational and Cultural Affairs (ECA) and World Learning; Award for Excellence, KFOR/NATO for Cities of Peace; a Fulbright Fellowship, National Endowment for the Arts, Ford Foundation Fellowship, Pollock-Krasner Award in Painting, New York State Council on the Arts, and a New York Foundation for the Arts grant. Dr. Frank studied art history and connoisseurship at Yale University, the Courtauld and Warburg Institutes, and holds an interdisciplinary doctorate in English Literature and the Visual Arts from Stanford University. In 2015, she received an Honorary Doctorate for Cities of Peace from the Russian Armenian (Slavonic) University. She co-founded the interdisciplinary department of Literature and the Visual Arts at the University of California, Berkeley; she designed and taught interdisciplinary studies at Barnard College, Rutgers University, and School of Visual Arts. Dr. Frank’s first book, Literary Architecture: Essays Toward a Tradition (University of California Press), received numerous awards, including the New York Institute for Graphic Arts 50 Best Books; Ronce& Coffin Club Design Award; and “Best Book in 50 Years” by University of California Press. Patricia Miranda has been working with Cities of Peace since 2008. An artist, educator and curator, Miranda is founder and director of MAPSpace and The Crit Lab artist-run initiatives in Port Chester, NY, offering exhibition, residency and professional development for artists. In 2012 she founded a Collaborative Workspace Residency Program which was featured in the New York Times, Newsweek, and many other publications. She has been Visiting Artist at Vermont Studio Center, the Heckscher Museum, and University of Utah; Visiting Lecturer at Purchase College SUNY, Kutztown University, WCC Peekskill Center for Digital Arts; and been awarded residencies at I-Park, Weir Farm, Julio Valdez Printmaking Studio, and Vermont Studio Center. She has received grants from Arts Westchester/New York State Council on the Arts and was part of a year-long NEA grant working with homeless youth. Miranda is the first Practitioner-in-Residence at Lyme Academy College of Fine Arts of the University of New Haven, where she led the first study abroad program at the university's campus in Prato, Italy, in spring 2017. She is core faculty at New Hampshire Institute of Art's low-residency MFA program, and teaches curatorial theory in the grad program at Western Colorado University. She served as director and curator of the Gallery at Concordia College-NY from 2008-12, where she curated and implemented exhibitions, and educational and community programming across a wide range of contemporary and historical subjects. 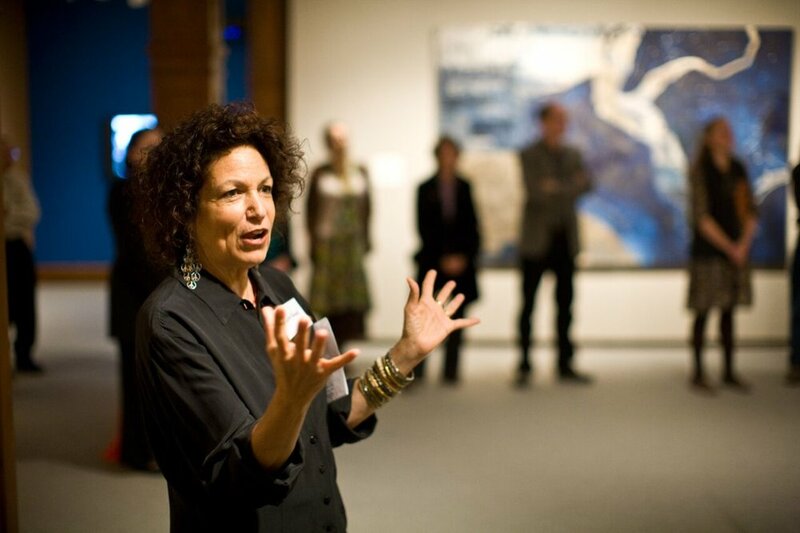 Miranda develops education programs for K-12, museums, and community institutions, including Franklin Furnace, the Solomon R. Guggenheim Museum, the American Museum of Natural History, and the Smithsonian Institution. She has exhibited at Wave Hill, Bronx, NY; the Cape Museum of Fine Art, Cape Cod MA; the Belvedere Museum, Vienna Austria; Metaphor Contemporary Art, Brooklyn, NY; and Kenise Barnes Fine Art, Larchmont, NY. East End. He has been a piano technician for 40 years. In addition to concerts in Europe, the Middle East, California, and Massachusetts, Dickman has had three operas produced in New York City. Dickman’s newest work, an original musical The Violin Maker, will receive its premiere at John Drew Theatre, East Hampton, NY, in Spring 2019. Abbie Kundishora joined Cities of Peace in 2018. She has international experience working for non-profit organizations in the fields of social development, public health, and community arts. She obtained her B.A in International Development and African History from the School of Oriental and African Studies (SOAS) University of London in 2010 and lived and worked in Kenya, Africa where she witnessed the arts being used to empower marginalized groups of people. During this time she also worked as Program Assistant Intern for Nobel Peace Laureate, Wangari Maathai for whom she assisted in the 25th Governing Council Meetings for the Environment at the United Nations. Abbie is a British-born painter and sculptor currently creating work in her Connecticut studio while also filling the role of Conservation Assistant in the Paper Conservation Department at Yale Center for British Art. Abbie obtained a Post Baccalaureate in Painting and intensive training in Sculpture at Lyme Academy College of Fine Arts in 2015. She has used her education to positively affect change in her home community; for 3 years, she directed and taught classes at Orchard House, Adult Medical Day Center where the artworks from her classes contributed to winning multiple grants and building revenue for the organization. She has exhibited her own work in a solo exhibition in Nairobi, Kenya and in group exhibitions throughout Connecticut. Sheri Rosenblatt joined Cities of Peace in 2019. She is president and founder of fit2market, a marketing communications company in New York launched in 2013. Earning a BS in nursing from New York University, an MS in education from City University of New York, and an MBA in marketing from Fordham University, she is skilled in client relations, marketing communications, and brand stewardship. Joining Cities of Peace, Sheri will work on raising awareness of the organization, ensure the brand is represented consistently in all channels and drive brand equity. In July 2018, fit2market received its certification from WBENC – the largest certifier of women- owned businesses and a leading advocate from women business owners and entrepreneurs. Sheri was honored as a Rising Star by the Healthcare Businesswomen’s Association in 2009 for her peers. David Ran joined Cities of Peace in 2019. David is expert in entrepreneurship, business strategy and data analytics. Over the course of more than 20 years, he has embarked on eight entrepreneurial endeavors while developing a corporate career path from analyst to manager to VP in the financial industry. Apart from for-profit businesses, he created and hosted a public radio show in Dalian, China and developed a Job Readiness Coach program for Juvenile Detention Center in Richmond, VA. David is currently with W.R. Berkley, working on insurance products for high net-worth individuals. He holds MBA and MSM-OR degrees from Case Western Reserve University. As an artist Fred's sculptures, paintings, and drawings are held in private and corporate collections. 1999. Peter was the recipient of the Covenant Award in 2012, the highest recognition given to a Jewish educator. engage – through liturgy, art and discourse – in ‘the great conversations of our times’” and into advocacy for more just societies. Dean Kowalski served parishes in Newtown, Hartford, and Darien, Connecticut. He is a board member of Episcopal Charities/Diocese of New York, the Center for Interreligious Understanding and the Advisory Board of The Episcopal Actors’ Guild of America. He has been a Henry Crown Fellow at the Aspen Institute, a fellow of the American Leadership Forum and a participant in several interfaith conferences abroad sponsored by Peace Research Institute Oslo, most recently in Iran. In 2015 he traveled to South Korea as part of the Conference for World Peace & Reunification of Korea. Sotto advises clients on GLB, HIPAA, COPPA, CAN-SPAM, FCRA, VPPA, security breach notification laws, and other U.S. state and federal privacy and data security requirements (including HR rules), and global data protection laws (including those in the EU and Latin America). She provides extensive advice on cybersecurity risks, incidents and policy issues, including proactive cyberincident readiness. Jenean Paschalidis is the Senior Advisor of Enterprise Risk Management at UNICEF (the United Nations Agency whose mission is to advance the rights of children globally). She is responsible for providing enterprise risk advisory services for executive management, and for the development, implementation and management of the Enterprise Framework and addressing risks/risk related matters for offices in over 190 countries and territories. With expertise in the domains of risk, policy, quality, information security and technology and programs and project management, Jenean has served in the capacities of: Officer, Federal Reserve Bank of New York; Director of Risk, Policy and Compliance, Barclays Capital, London; ICT Security and Risk Consultant, United Nations Development Programme, New York; Senior Risk and Acquisition Analyst, SAIC, Baltimore; and Marketing Specialist, Electronic Commerce Services and Technology Applications, United States Postal Service, Washington, DC. Ms Paschalidis has a Master’s degree in International Management (University of Maryland University College), Master’s degree in Program and Project Management (Florida Institute of Technology) and a Diploma in Instructional Design (United States Air Force- Air University). Her awards include: President’s Award for Excellence, Federal Reserve Bank of New York and the Meritorious Service Honor Award, United States Postal Service and Best Practices in Information Security Department Award, E-Business Forum. Heather Dune Macadam brings to Cities of Peace Illuminated her expertise as a Holocaust Historian. Her first book was Rena’s Promise: A Story of Sisters in Auschwitz, about the 716th woman in Auschwitz. In 2012, the Digital Edition went viral and became an instant best seller, topping Holocaust and Memoir lists on Amazon. Turkey, Japan and Germany (where it was book of the month in Sept. 1997). In honor of Rena’s memory, Ms. Macadam continues to be active in fighting against Holocaust denial social networks by disseminating the story of the first women in Auschwitz on YouTube and on the Rena’s Promise fan club on Facebook. She has been published by The New York Times, National Geographic, The Guardian UK, The Daily Mail, Marie Claire, Newsweek among other national and international publications, and was a commentator on NPR’s All Things Considered. Ms. Macadam holds a Masters in Creative Writing and has received a Presidential Grant for Research and a PEN American stipend. She and Rena were named Outstanding Writers of the Year in North Carolina in 1995. Ms. Macadam is the director and president of the Rena’s Promise Foundation and Rena’s Promise Intl. Creative Writing Camp 4 Teens. She divides her time between New York and Herefordshire, England, and is a frequent visitor to the Hay Literary Festival.